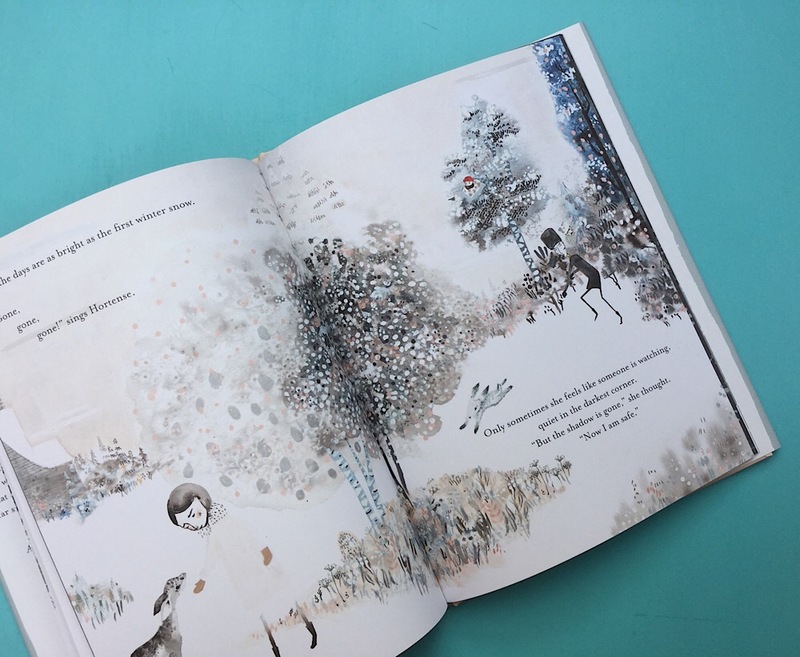 Beautiful yet dark is the theme running through this stunning picture book. A beautiful, strong female character with a dark shadowy side. A beautiful snowy landscape hiding dark, shady characters. The essence of classic Russian folktales has been perfectly captured through the use of the enchantingly delicate colour palette and poetic language. Hortense struggles with her shadow, trying to hide from it and run away from it but when danger looms, Hortense needs that dark side and ultimately comes to accept it. We all have a dark side and the only way to live in harmony is through acceptance.